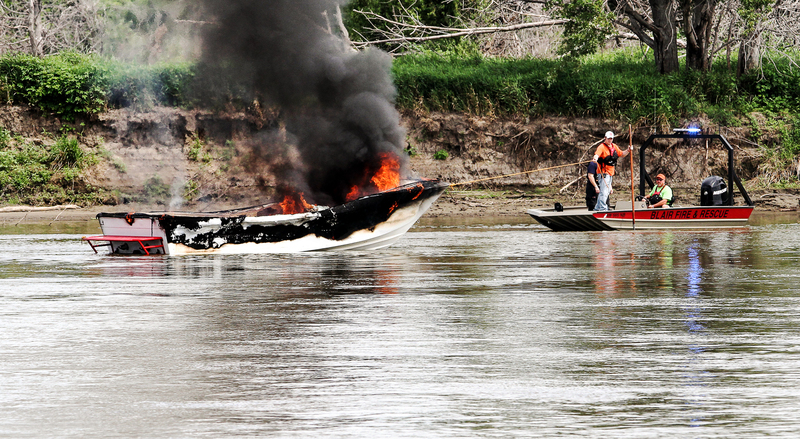 Blair Fire fighters tow a burning boat to shore Saturday on the Missouri river. Crews from Blair, Fort Calhoun, and Missouri Valley responded to the boat fire. No one was injured. Blair, Fort Calhoun, and Missouri Valley, Iowa, were called to a boat fire on the Missouri River around noon on Saturday. The boat was fully engulfed in flames as fire fighters reached the area near the Rock Quarry near county road P 30. Fort Calhoun and Blair fire fighters went into the river and extinguished the fire and pulled the boat to the Iowa side of the river. No one was on-board the boat when rescue personnel arrived, and no one was injured. 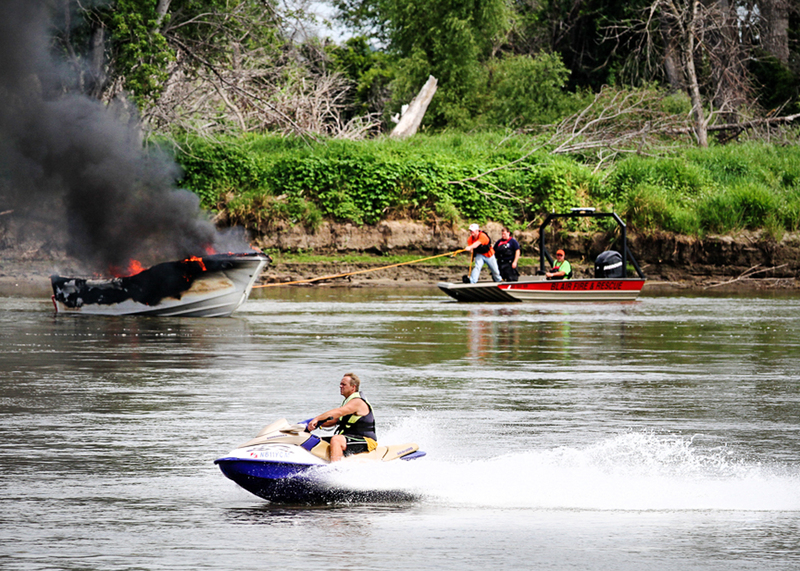 A jet-ski rider travels up river in the foreground as Blair fire fighters pull a burning boat to the Missouri river bank in the background.